Nine tough months are behind us. 2017 was an exciting but also troublesome year for EYCE. We started it welcoming two new ExCo members in Belfast and reestablishing the relationship with our member organisation and Churches in Northern Ireland. However the vacancy in the office, rejected grant applications and a change of the accountant company were just a few of the obstacles the ExCo had to overcome. We are even more satisfied that two very successful events were carried out and a fruitful General Meeting came to an end recently. It was a great pleasure to meet so many member organisations and make plans with them for a bright future of EYCE. 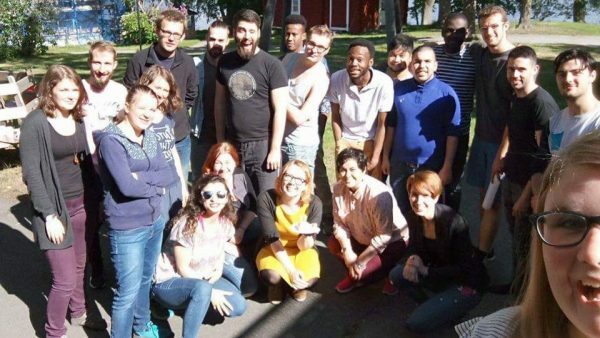 It fills us with joy and satisfaction to see that so many new young people ran in the elections and are ready to be servants of EYCE and the Ecumenical Movement for the coming two years. May our Lord Jesus Christ bless them and strengthen them in what they do. EYCE is for us a visible sign for God's work. Young people have built it up over generations and it keeps running no matter how hard the circumstances are. EYCE has shaped personalities and so many people have countless memories of their time with EYCE. For the two of us our active time in EYCE has come to an end. We would like to thank everyone of you who has made this time so special. 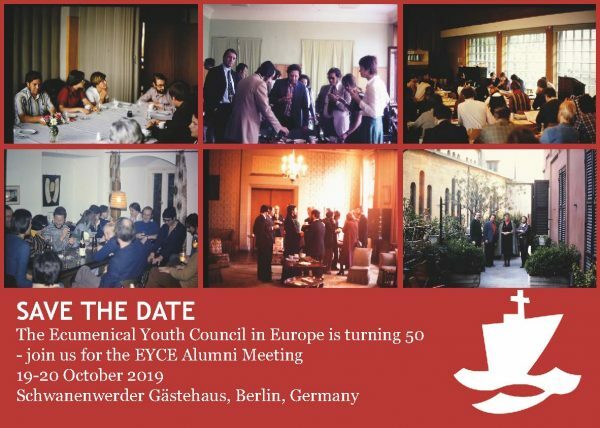 And of course we hope to meet many of you in 2019 at the EYCE alumni meeting for the 50th anniversary. More details about it can be found below. 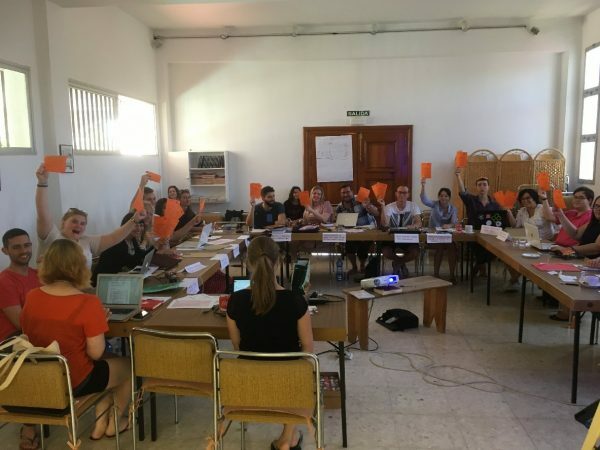 The 41st General Meeting of EYCE, which was held in Malaga, Spain 14th-17th September 2017, was a again a great example how youth participation and ecumenical movement can change lives. It was also an important occasion to plan the activities and strategic approach of EYCE further towards it's 50th anniversary and beyond that. 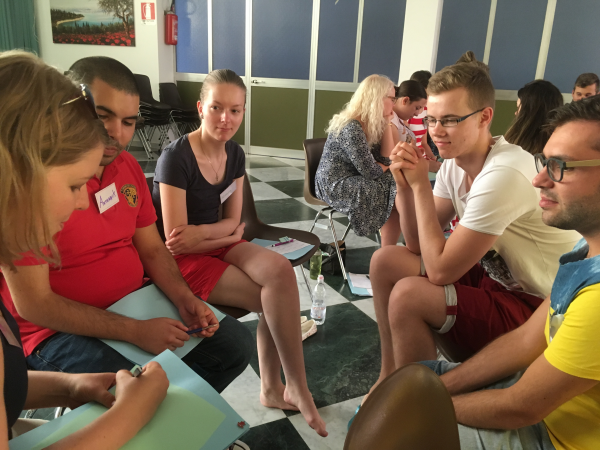 This EYCE training course took place from 6th -13th August 2017 in Palermo, Italy. The week was full of inspriring discussions, enriching ecumenical and cultural experiences and fun. As outcomes of the event the participants created also a video and a vision statement on the role of churches in modern society. 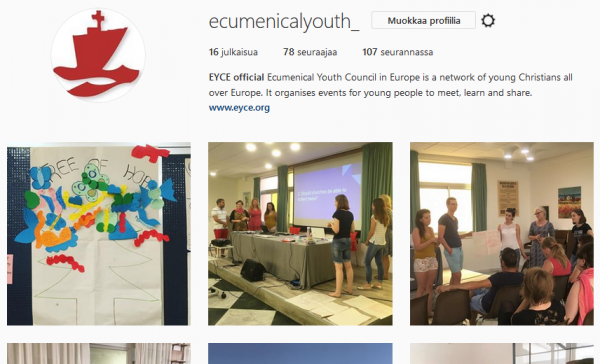 The Ecumenical Youth Council in Europe is turning 50 in 2019. 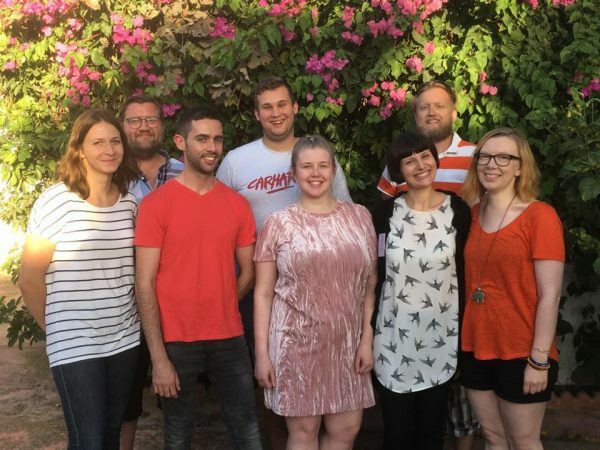 We want to celebrate that at the General Meeting and also invite all our Alumnis for the weekend: celebrations, old and new friends, ecumenical service, stories and pictures from 5 decades of EYCE, food and drinks, memories, and so much more… We organised a large reservation for the lovely guesthouse. You may stay there with us for the weekend for a cheap price.